We are only supplier of truly uniform and monodisperse carboxylated alumina ( carboxyl functional groups coated aluminum oxide) microspheres and nanospheres. 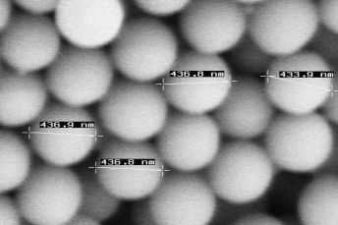 Size: nanospheres 100-950nm, microspheres 1-100µm. Solubility in organic solvents: insoluble. Crystal structure: amorphous (could be converted into crystalline state by heating). 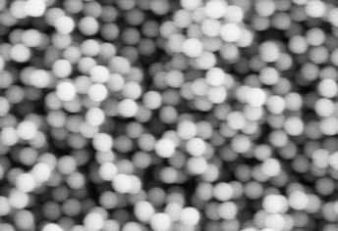 Currently we offer alumina microspheres and nanospheres with plain, amino and carboxyl functional groups. The alumina microspheres and nanospheres are also available on custom synthesis basis with other functional groups such as albumin, protein A, epoxy, NHS, NTA, EDTA et others. Please ask for delivery time and quotation. They are useful for coupling of DNA, oligonucleotides, oligopeptides, proteins, lectines and antibodies. On custom synthesis basis we can dope these microparticles selected other elements with up to 2 %. The doped elements could be distributed uniformly, internally or externally.